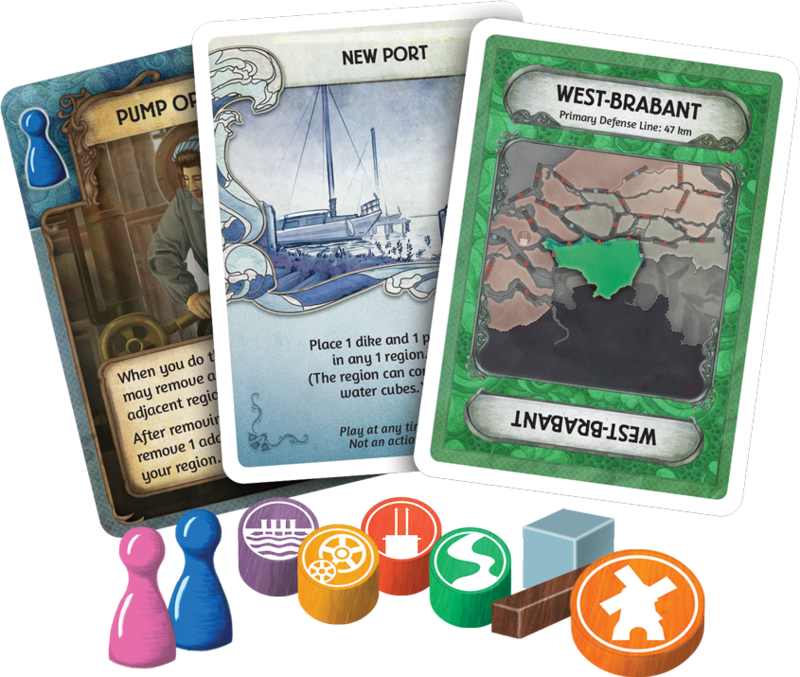 Combining the addictive cooperative gameplay of Pandemic with innovative new mechanics, Pandemic: Rising Tide takes players on an exciting journey across the Netherlands. As you sail these water-filled regions, you'll be faced with a variety of problems caused by flooding and Rising Tide provides a variety of objectives to simulate this. Beyond building the four hydraulic structures, your team might be tasked with expanding the Dutch population into areas threatened by storm waters, constructing water pumps to protect the country's valuable textile industry, or building ports along the Maas River. Each game features a new combination of Objective cards, creating a unique scenario every time you play. To improve your team's chances of completing them, every player takes on a specific role with special abilities. Join together, play to your characters' strengths, and stem the tide!